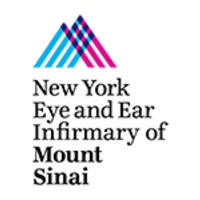 With 69 certified beds, the New York Eye and Ear Infirmary of Mount Sinai is one of the world’s leading facilities for the diagnosis and treatment of all diseases of the eyes, ears, nose, and throat, as well as related conditions. Founded in 1820 as the nation’s first specialty hospital, New York Eye and Ear manages more than 30,000 surgical cases and 225,000 outpatient visits per year. New York Eye and Ear is regularly ranked as one of the best hospitals in America, according to U.S. News & World Report, and was awarded Magnet status for excellence in nursing care.